If the walls of University Hall could talk, they might tell you about the time they met George Washington (although don’t believe them if they tell you he slept here). The first building constructed on Brown’s campus, University Hall, has played host to wounded soldiers during the Revolutionary War as well as our nation’s first president, during his visit to Rhode Island in 1790. The Providence Gazette reported that despite Washington’s habit of not going out in the evening, he made his way from his lodging at the Golden Ball Inn to University Hall to accept the invitation of Brown University undergraduates. In a patriotic display, students outfitted each of the Hall’s windows with candles aglow. Renowned for “The Brown Curriculum,” an innovative approach to undergraduate education instituted in 1970, Brown University’s philosophy states that students, who are free to design their own curriculum, are “the architects of their own course of study.” Founded in 1764 by Baptists as the College of Rhode Island, the school moved to Providence in 1770. The institution changed its name to “Brown University” in 1804 after a generous donation by Nicholas Brown, prominent Providence businessman and alumnus of the school. With over 250 years of history under its belt, Brown University understandably boasts many styles of architecture. One of the most noticeable structures on campus is the Carrie Tower (1904). Paul Bajnotti commissioned the tower to honor the memory of his wife, Caroline Mathilde Brown, grandaughter of Nicholas Brown, Brown University’s namesake. 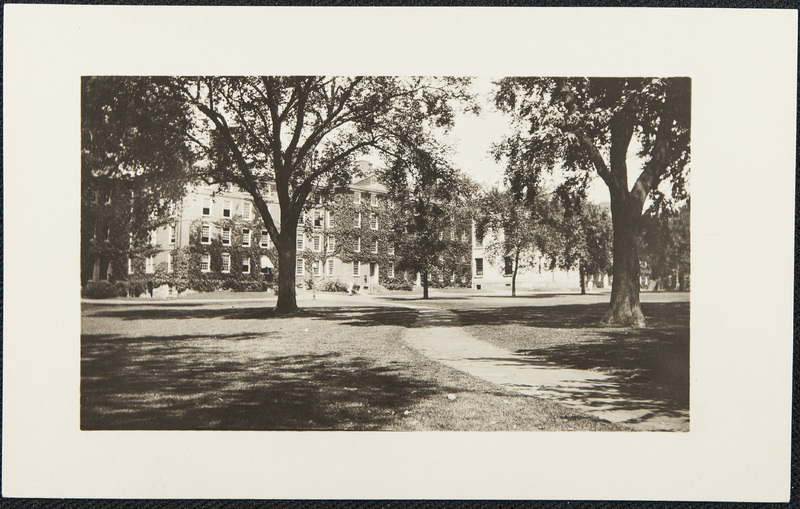 Brown Quadrangle, c. 2015: Brown University celebrated its 250th anniversary in 2014. 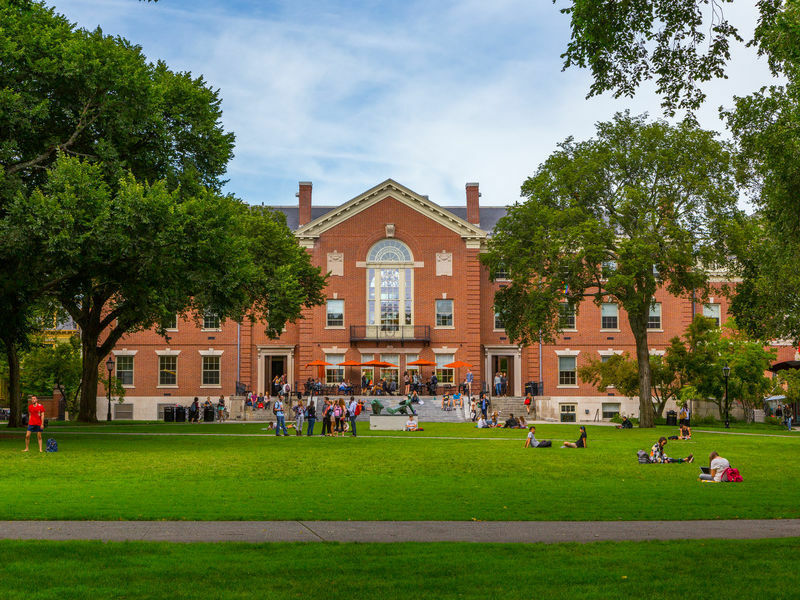 In that year, President Christina Paxson announced a 10-year strategic plan, “Building on Distinction: A New Plan for Brown,” which includes the construction of a new center for performing arts, located between Waterman Street and Angell Street. University Hall: During the Revolutionary War, University Hall served as a hospital and barracks for soldiers. The College was closed due to the war from December 1776 to September 1782. After British and Hessian forces landed in Newport, President Manning wrote: “This brought their Camp in plain View from the College with the naked Eye; upon which the Country flew to Arms & marched for Providence, there, unprovided with Barracks they marched into the College & dispossessed the Students, about 40 in Number." 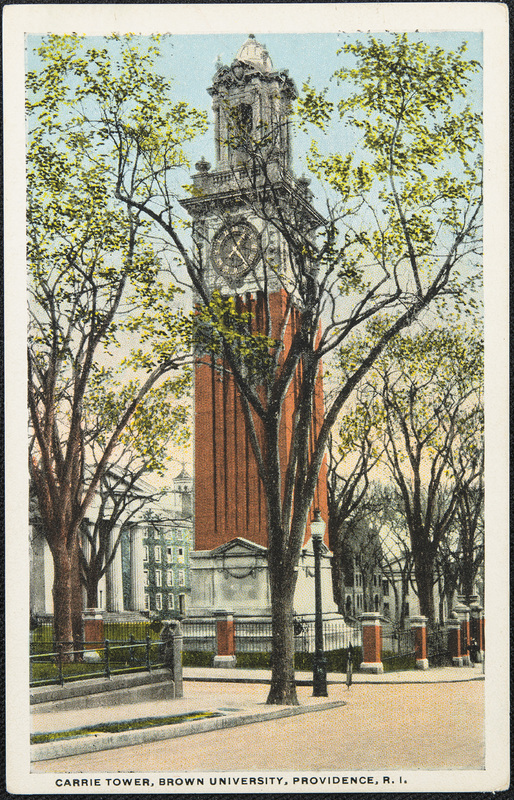 Carrie Tower: The memorial to Caroline Mathilde Brown is inscribed with the motto, “Love is strong as death.” Brown's widower, Paul Bajnotti, also commissioned a fountain in honor of her, built in Burnside Park in downtown Providence. Carrie Tower is not the only memorial from a widower on Brown’s campus. The Annmary Brown Memorial was erected in 1907 by Christopher Rush Hawkins in honor of his deceased wife, Annmary (Brown) Hawkins. Both Christopher and Annmary are buried within the granite structure; every year on March 9th, flowers are placed on Annmary’s grave, in accordance with her husband’s will. If you want to see the Van Wickle Gates on Prospect Street open, you have two chances each year. The gates remain closed year-round except when they welcome matriculating students as they enter Brown and bid farewell to graduating students as they leave. Elyssa Tardif, “Brown University Quadrangle,” Rhode Tour, accessed April 21, 2019, http://rhodetour.org/items/show/189.